This post by was originally published on the web site of the Progressive Economics Group. The Group is involved in policy development on the assumption that a future government might abandon the dedication to neoliberal economics of those in recent decades. I recommend it as a source of wider reading. It is now widely agreed that government spending might be funded in three ways. The first method of funding public expenditure is to increase the supply of government created money in the economy. This increase in the supply of government-created money happens every time the government spends. When the government spends it makes a commitment, or promise to pay, and this is accurately reflected in the fact that every banknote in the UK includes a printed version of that promise. There is, however, a problem with money printing. Unless it is properly controlled it can lead to inflation. All inflation is not bad; on the contrary some inflation is useful. Over recent years we have seen the strenuous efforts made by central banks to avoid deflation. Deflation can have recessionary consequences. The Bank of England sets 2% per annum as its inflation target consistent will sustainable growth. The policy challenge is to permit the injection of just enough money to achieve this goal, taking other factors into account. Broadly speaking, the way to do this is by taxing most of the money a government creates through its spending out of existence soon after that spending takes place. Tax fulfils two goals in this process. First, it controls inflation, and this role is now seen by many as the primary purpose of taxation. Second, in effect the government endorses the value of its own currency by requiring that tax be paid making use of that money it creates. However, to ensure that happens, spending that delivers public services must takes place before tax can be charged. Unless this were the case the money to make tax payment by households and businesses would not exist. By accepting its own currency in settlement of tax obligations the government fulfils its “promise to pay”. This circuit, in which a government creates money to fund expenditure that is returned as tax payments is the concrete way in which the government creates, delivers and maintains a stable currency for use in trade. A growing economy requires general price increases, or inflation. Except under unusual circumstances, a general increase in prices requires an increasing money supply. A fiscal deficit is the only way in which money can be injected into an economy continuously. It follows that governments must run a near perpetual deficit or face the risk of creating a liquidity crisis due to a shortage in the money supply, which would then create a risk of deflation. The question then arises as to how this deficit should be funded in a fiat monetary system; that is, a monetary system in which money itself lacks value (in contrast to a system in which gold was convertible into money). 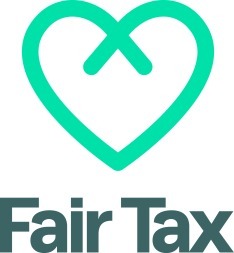 ‘Fiat’ in this context means that the money in an economy is only backed by the government's promise to pay and has no other convertible value except for the payment of tax. There are, in essence, three ways in which a government can fund a deficit. The first and most obvious of these would be for the government run an overdraft with its central bank, which is the Bank of England in the case of the UK. There would be no reason for interest to be paid on this overdraft if the government owns the central bank, as is the case in the UK, because paying interest to oneself is merely an accounting exercise. Historically a central bank offering a government an apparently unlimited overdraft was considered profoundly imprudent. That was because until 1971, when the USA came off the gold standard, all currencies were ultimately restricted in their availability by the conversion requirement into gold under what came to be called the Bretton Woods System. The ability of the government to print money without constraint, which a central bank overdraft for its government implied, threatened monetary stability as a consequence. As a result the government's deficit was in effect repackaged in the form of bonds (or gilts). These interest bearing bonds were sold by the government to third- parties. In this way the gilts market was created. What that market effectively ensured until 1971 was that the government must use money already in existence for its spending. When the amount of money was fixed to existence of gold this was an appropriate goal. Since the link with gold has been removed the constraint imposed by having to borrow makes no sense: there is no limit, subject to inflation objectives, to the amount of money that might usefully exist. That said, although the gilts market is, in theory, now entirely unnecessary for the purposes of funding government deficits it has turned out that in practice there are significant, and overall beneficial, uses for government created bonds. The most obvious is as a place of guaranteed safe deposit for those with funds they wish to save. A government can never default on a bond that it issues in its own currency because it can always instruct its central bank to create the money required to make repayment of a bond when redemption is due. As a consequence the owners of gilts have an absolute guarantee that their funds are safe. This is fundamental to the financial security of an economy. That said, this means that government bonds are an asset with very low inherent risk. As a consequence, gilts have the lowest interest rate paid in any market. Despite this they still have great appeal to pension fund trustees and insurance companies, both of which have an obligation to settle liabilities far into the future. Gilts also appeal to those who wish to deposit extremely large amounts for short periods of time. Very large amounts cannot receive the guarantee that the government gives normal bank depositors. In particular, companies seeking to place millions and even billions of pounds on deposit overnight seek security for their cash. They achieve this security not by placing the funds in bank accounts, but by temporarily purchasing government bonds from banks. These they then sell back the bonds the following morning at a very marginally higher price to cover the interest earned. This is called the ‘repo’ market. As a practical matter it would be very difficult if not impossible to replace gilts in the pension, insurance and banking sectors with a private sector security instrument. As a consequence there is a systemic need to issue gilts. However, the idea that the government is dependent upon doing so to raise funds is a legacy of the pre-1971 monetary era. It is no longer true. Gilts are now issued as a favour to the financial markets to provide a safe deposit service to the market that it needs. They are not issued to fund government expenditure, because they are not needed for this purpose. This is precisely why real interest rates on gilts have shown a markedly downward trend over time, and they now carry an effective near zero interest rate. Unfortunately international regulation has not recognised this fact. As a result the EU still bans central bank lending to the governments that own them, reflecting thinking from the pre-1971 system. This ban is, however, now worked round using the technique known as quantitative easing (QE). QE occurs when a central bank (or one of its subsidiary companies) purchases gilts issued by the government that owns it. The Bank pays for these gilts by crediting the account of the seller of those gilts (for example, a pension fund) with an amount equal to the value of the bonds purchased. The money for this transaction is not provided by taxpayers. It is instead created out of thin air by the Bank of England lending it to one of its own subsidiaries to buy the gilts in question, in exactly the same way as all bank loans are created by the use of double entry book- keeping. The result is that the ownership of a government owed debt is transferred to a government-owned bank. In effect the government has then lent itself money. This self- lending is strictly equivalent to printing currency, and more practical for the large sums involved in the QE process. Whether the loans involved then have interest paid on them is of no importance, since the interest payment cancels itself out (appearing in the national accounts as an expenditure from the government to the central bank, and an income from the central bank to the government). QE does then permit a central bank to provide its government with a long-term interest free loan that also has no set repayment date. This no interest, infinite maturity date loan provides a funding mechanism for government expenditure that is an alternative to taxation. In words, government spending must equal taxation plus the change in government borrowing plus the change in government created money. The policy implications are clear. The perennial question of ‘how is it going to be paid for’ is answered by this equation. All government spending is initially paid for by creating new money. The new money provides the means to either collect additional tax revenue, or to fund new gilt issues. If there was a risk of deflation and neither tax increases or bond issued were desirable, then this identity makes clear that a government can alternatively create and repurchase its own debt to fund its spending. At an aggregate level the government can adjust the elements of the identity to foster full employment, subject to inflationary pressure. As such it is this equation that is at the core of managing the macroeconomy. The lesson in all of these instances is that a sustainable stimulus policy must not only attend to demand and interest rates, but also to the relation of real wages to productivity. It is not a matter of wage-led vs. profit-led dynamics as putative opposites, but rather of the sequential link between the two. “The engine which drives Enterprise is … Profit” (Keynes). The spending-funding identity explained in this briefing makes clear that governments, and not markets, are the drivers of the decision-making on the level of taxation, borrowing, interest rates and the optimal balance between the these factors. That optimal balance is the value of each that is consistent with the government's policy goals. If, for example, the government seeks to achieve full employment, then what this approach suggests is that it is at complete liberty to do so without market interference. So long as there is spare capacity within the economy that needs to be usefully employed the government can create new funding to achieve that goal. Should the increase in demand generate undesired inflation, the government can either cancel the additional spending by greater taxation or by selling its bonds in the financial market (which transfers private liquidity to the government). A government with its own currency can, if it chooses, take command of their own financing and as a consequence of the national economy, and it is not beholden to the financial markets. Richard Murphy is Professor of Practice in International Political Economy at City University, London and Director of Tax Research UK. 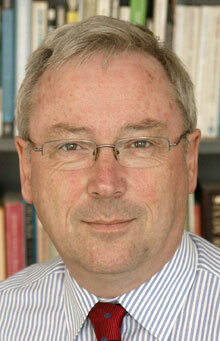 He is a non-executive director of Cambridge Econometrics. Presumably the exception to that guarantee would (or could) be when the government is ousted by a foreign power which may chose not to honour the bonds ? Yet the government pays the (private sector) banks ….? for providing a safe haven for their money ? What’s in that for the government ? People don’t understand because the logic of macroeconomics runs counter to individuals’ experience of the economy as currency users. Combine this with the government pretending to be a currency user too and it is really no surprise that most people don’t get it. Add the nefarious reasons behind the government pretending to be a currency user, aided by think-tanks and journalists, and the willful ignorance of those in power becomes obvious. Macro economic denialism = climate change denialism = smoking/cancer link denialism. All the plays are the same. Many of the players are the same. It’s just the usual strategy of fear, uncertainty and doubt. I am puzzled by the relationship that may exist between a) the net monetary value of the tangible assets within a country and b) the quantity of money and it’s circulation limit and c) the goods and services produced by that country on an annual basis. Common sense would argue that there should be some relationship at work here but I can’t see it. Can a) be greater than b), can the growth of a), on a compounding basis, impact on negatively on c)? Is there an ongoing tension between all three? Since 90% of the money in circulation is created by banks what % of this is increasing a) and what effect does this have on c)? Finally what % of a) is held by government? Why do conventional economics textbooks not deal with the questions you want answered? First, money does not need to exist to value something: money is only needed to exchange it. If little is bought or sold then little money is needed to do that. High volatility does create liquidity crises as a result: money does become tight. Government has to make money available in such situations to ensure there is not market failure. Second, the relationship between trade and money depends on how fast money circulates. Warren may want to elaborate. You are working on the mainstream view that government only creates notes & coins. Clearly this is not the case as the above article clearly illustrates. Has any other economist come up with this view? It’s seemingly so simple so someone must have thought of it before. If not, no offense intended, how come it’s come to you? And how do we make people aware that just opening the spending taps will repay itself as fast as you say? Many economists have come up with this view. The whole school of Modern Monetary Theory does so. I was asked not to overburden this blog with lots of references to literature. The formula I suggest is, however, familiar to those who know the work of, for example, Prof Stephanie Kelton. I am not saying that this idea is mine alone. I am working on a new version of it, and that will be my unique contribution. As for the idea that spending pays for itself: that, of course, was Lord Keynes’ great contribution to economics. That is the multiplier effect in action. What would you, or Warren, say about this statement in the above – “This no interest, infinite maturity date loan provides a funding mechanism for government expenditure that is an alternative to taxation.”? I thought that taxation was never a mechanism for government expenditure – rather a means for reducing the potential inflationary effect of government spending. Is it just badly worded, or am I missing something? To be clear, I meant tax is not an alternative source of revenue. “People don’t understand because the logic of macroeconomics runs counter to individuals’ experience of the economy as currency users. The government is a money factory. We elect the government and the money factory is ours. We don’t need to fall for the idea that it it actually belongs to somebody else. If you do believe democracy is worthwhile then you need to recognise the money system is the primary means by which the government exercises the democratic will and you better understand how to use it and understand it’s full potential and it’s real limitations. If you don’t believe democracy is best then you need to realise the money system is the primary means of exercising power and you must seek means to wrestle it away from democratic control if you want to circumvent the will of the people. That or you must convince sufficient numbers of the people to vote for things that benefit you. In practice both approaches are used at the same time. What do you make of China’s spending post 2007/8? David Harvey reckons it saved the global capitalism, (en passant, as it were) as it mopped up their (possibly) 30M unemployed and created massive new infrastructure. He calls it anti-value and wonders when the value will be redeemed. Of course China isn’t beholden to the diktat of the IMF and other neoliberal enforcers, so it may end well. Debt financing? Have to confess I don’t really understand the concept. Perhaps a Marxist commentator can elucidate. Debt financing has just been explained to you by a non-Marxist (I believe). Anti-value? No interest, levy, service was repaid to put jingle in private pockets. Shock. inflation. Taxing for effect would have fixed it (nice one), but..everybody likes talking about house prices. of overly impressive asset valuations. I meant I didn’t really understand the concept of “anti-value”. That beautifully sums up the position I was in, and still am to some extent, before stumbling upon this blog a while back. And that’s despite reading it virtually every day and trying to follow the replies. Sometimes I succeed, sometimes I don’t. For instance, I was understanding the above report UNTIL that maths formula… I don’t even know what that triangle thing means. I shall have to google it. It kind of reminds me when everyone, from peasants to philosophers, believed the sun revolved around the earth, and therefore we were at the centre of the entire universe. If you look at the sun rising and setting it does look as though it revolves around us, so why would people have thought any differently, in the absence of evidence otherwise? It didn’t help either that this new idea undermined the power of the church. If I remember my history correctly, Galileo was put under house arrest for his heretical theorising. At least Mr Murphy has avoided that fate so far! Anyway, despite my struggles with MMT (I’m learning the lingo) I’m intrigued enough by it to finally take the plunge and last week ordered RM’s The Joy of Tax, second-hand from some subsidiary of Waterstone’s as I’m on a really low income (full time carer to 84 year old dad, and mum too till she died from her dementia.) The P & P was almost as much as the book itself. Can’t wait to get stuck into it when it finally arrives. It will probably do my head in but, hopefully, in a good way. Please keep asking what might feel like dumb questions. They are often the most important ones and force the wiser heads to think hard about how to explain things in ways that are comprehensible to normal human beings. “I went through all of this research,” she said, “and I got to exactly the same place Warren got, just with a lot of complicating details.” Tax and bond sales do come after spending; their purpose is not to fund the government but rather to take money out the system to keep it from overheating. I get there from first principles too: I realised all money had to be debt. Your explanation about repo is wrong. No gilts are sold to the government. This has to be the best post I’ve ever read on this site and most others for years. The gilt market rationale was genius. I’m armed with the PDF so now time to go out and spread the word and change minds. Is bank created money part of this cycle or a separate interacting cycle (or have I just not understood)? Bank created money is all made under licence from the central authorities. I see it as a subset of total government created money. Remember that 85% of all bank created moeny is lent into existence on property loans. These are heavily government backed, for example, and incentivised. It has probably never been so true as it is now that the private banking sector acts very largely on the whim of the central bank. Im always astonished that the role of bank created money in driving house price inflation is not more widely recognised. It feels to me to be at least as important as housing supply or overseas buyers. I wonder if someone has analysed this? In this equation you say B is borrowing. We have concluded that the government has no need to borrow. Does this mean that ‘borrowing’ is just the name you give to any interest payments on sold gilts?